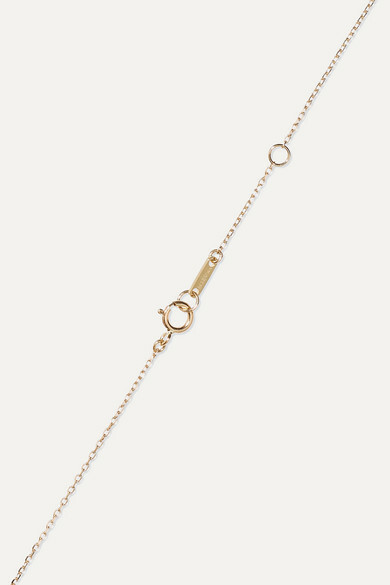 Mizuki's pieces are simple yet elevated, so you can wear them every day and for special occasions too. 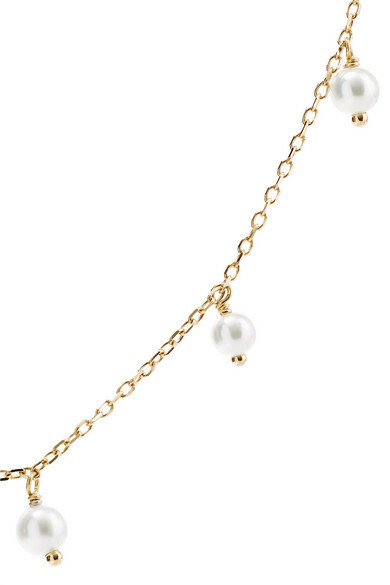 Cast from 14-karat gold, this necklace is strung with nine tiny and lustrous Akoya pearls that lay beautifully on your decolletage. Adjust the chain to find the perfect drop. Shown here with: Khaite Jeans, Georgia Alice Blazer, Mizuki Earring, Mizuki Bracelet, Mizuki Necklace, ATM Anthony Thomas Melillo Tank.